Oily eyes? Shiseido Integrate Gracy Natural Makeup Concealer Stick will be your new best friend. It’s starting to warm up around here and even my drier slip produces a bit of oil in the warmer, humid weather so what worked great for me in the Winter isn’t always a great option in the Summer! That includes hydrating concealers so I tend like switching up my more moisturizing concealers for concealer stickers that have a bit of a drier, denser formula as they tend to wear longer for me! 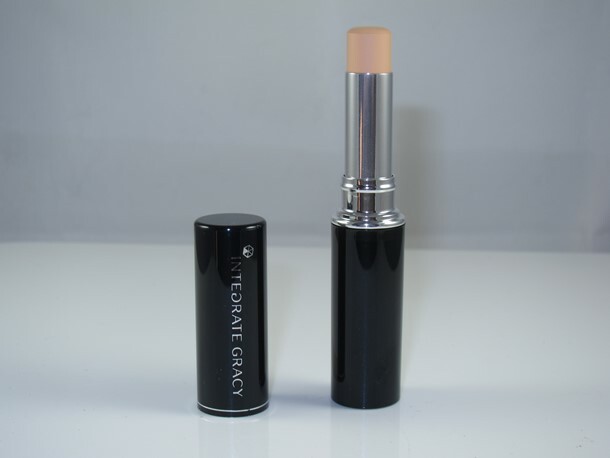 Shiseido Integrate Gracy Natural Makeup Concealer Stick is one such great pick! Shiseido Integrate Gracy Natural Makeup Concealer Stick is kinda the equivalent of the new Shiseido Perfecting Stick Concealer so if you’re looking to go cheaper perhaps grab the Integrate formula. The only problem is Integrate’s formula is limited to two shades since it is available exclusively in Japan. I do fit in the medium shade perfectly but most will feel both the light and medium shades just aren’t a great match sadly! This little guy comes housed in a twist up barrel for easy coverage on the go should you like to travel with it. To be honest, I rarely touch up my concealer because I find it messy but if you do this will slip easily into your makeup bag and take very, very little room! It’s creamy but does have a drier texture and isn’t particularly hydrating. There’s a bit of tugging involved to get it into place if you don’t prep well prior to application. This should not be an issue if you have oily eyes and lids as it likely will glide easily for you but those of us with drier eyes will experience some tugging. I just make sure I apply plenty of hydrating eye cream to get the best possible glide during application. You’ll appreciate the drier formula if you have oily skin as this does cling well to oily areas and wears for a solid five to six hours without creasing or fading. I will say it does crease a bit if your eyes are drier though! So be sure, as I mentioned, to prep well to avoid creasing into finer lines. I think that concealer formulas tend to cater to drier eyes. And hey, I’m not complaining because I fall into that demographic. But for those with oily lids that’s a bit of a nightmare as it means a shorter wear time. So when a drier concealer formula does come along it can be a concealer gods sent. Shiseido Integrate Gracy Natural Makeup Concealer Stick isn’t ideal for drier eyes but it is a perfect pick for those with oily skin. 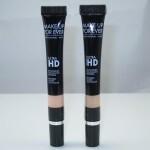 This one wears long and brightens up eyes (or of course, you can use it on your face), conceals dark circles nicely with sheer to medium coverage, and has a strong wear of six or so hours without fading or creasing! This one will join my Summer makeup ranks! You can grab it from Ebay.com seller AlphabeautyUK.